Festive peppermint sugar cutout cookies. You can top them with colored sugar or candies. These peppermint cookies are perfect for the holiday season. Give your holiday cookies extra flavor with these festive peppermint sugar cutout cookies. Decorate them with plain granulated sugar, colored sugars or candies. Sugar toppings are easier than icing and have about 70 percent fewer calories than frosting and no fat. Whisk the flours and salt in a bowl. With an electric mixer, mix together the sugar, butter, and spread until combined. Add the dry ingredients in thirds, beating until smooth. Roll out half the dough between 2 pieces of plastic wriap until 1/4" thick. Repeat with remaining dough and then wrap in plastic wrap and chill for 30 minutes. Line 2 baking sheets with foil and lightly coat with cooking spray. 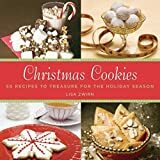 Remove the top sheet of plastic wrap and cut the cookies with a 2" cookie cutter. Decorate with colored sugar or sprinkles. Place the cookies 1 1/2" apart on the prepared baking sheets. Sprinkle with the sugar or press decorative candies lightly into the dough. Bake the Peppermint Sugar cookies for 12-15 minutes, or until golden brown. Chill the dough for a little less than half the tie in the freezer instead of the refrigerator. 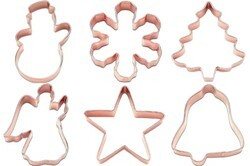 To keep the edges clean, make sure your cookie cutter is free of dough, and dip it in flour after every few cookies. If the dough still sticks, chill it before continuing. To keep cookies from breaking, cool for one minute before removing and transferring to a cooling rack. Always chill the dough for cutout cookies. You can soften it at room temperature for a few minutes before rolling out. Always measure the recipe ingredients accurately. For chewy cookies, shorten the cooking time. For chrispy cookies, cook the cookies a little bit longer. Rub flour over the rolling pin to prevent it from sticking from the dough. 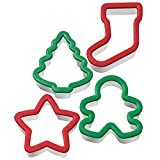 Cookies spread when baking so be sure to place them 11/2-2" apart on the baking sheet. For best results, always use fresh ingredients. Christmas themed martini recipes. Very merry martini recipes that will add a festive touch to any seasonal gathering.